Local kids will have the chance to learn off some of the best basketballers in the country when members of the Sydney Kings visit Penrith Valley Regional Sports Centre next month. In conjunction with Penrith Basketball Association, the Kings will host a contingent of developing basketballers aged five to 15 at their popular school holidays Super Clinic on Tuesday, April 17. 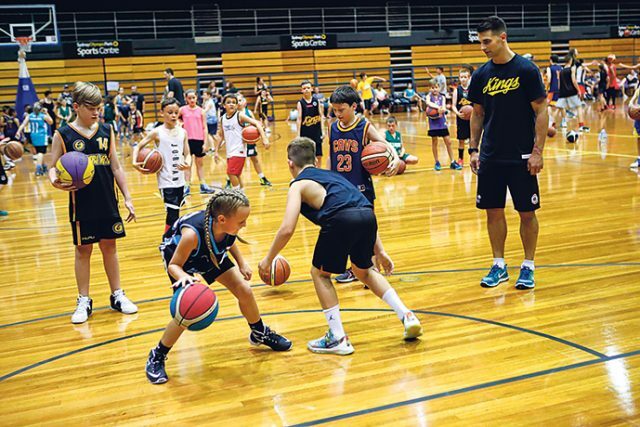 A number of Kings players and coaches – including captain Kevin Lisch, star swingman Todd Blanchfield, veteran Tom Garlepp and former Boomer Luke Kendall – will be on hand to deliver two hours of basketball inspired activities to develop the next generation of basketball stars. The Super Clinic is a free event that provides an opportunity to interact with Kings players in a fun afternoon of basketball games in the areas of shooting, ball handling, passing and defence. With only 150 spots available, this event is bound to fill up fast. For more information and to register, visit www.sydneykings.com.au.